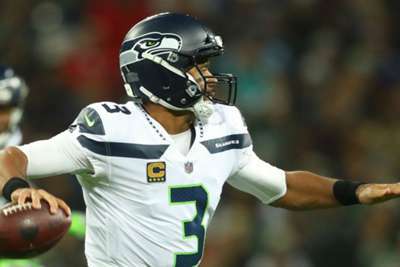 The Seattle Seahawks dominated the Oakland Raiders in London, easing to a 27-3 victory on Sunday. The Raiders could not find a rhythm offensively and were held scoreless through much of the game as a result of a strong Seattle defense, which sacked Oakland quarterback Derek Carr six times. The Seahawks, however, thrived under quarterback Russell Wilson, who connected with receivers Doug Baldwin, Tyler Lockett and David Moore for big plays. 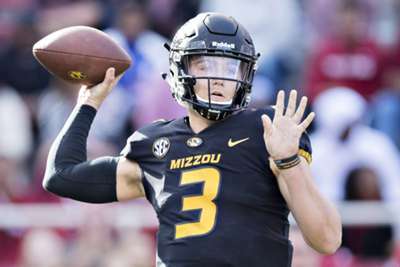 Seattle got on the board first as Wilson threw a five-yard touchdown to receiver Jaron Brown with seven minutes, 24 seconds remaining in the first quarter, and then scored again early in the second with another pass to Moore for 19 yards. Wilson put the Seahawks in position to score twice more in the first half, but they failed to find the end zone. Sebastian Janikowski made two big field goals – the first for 44 yards and the second for 26. The Seahawks carried a 17-0 lead into half-time after Oakland's Matt McCrane missed a 48-yard field goal that went wide left. The second half looked much like the first as the Raiders still could not make anything happen offensively. They also faced a big loss after receiver Amari Cooper was evaluated for a concussion and ruled out for the second half. The Seahawks continued to drive up the score, starting with another field goal from Janikowski. Wilson threw another touchdown pass to Lockett, giving the Seahawks 27 unanswered points. The Raiders' only score came in the fourth quarter when McCrane made a 43-yard field goal. Seattle improved to 3-3 this season with the win while the Raiders fell to 1-5.